It may look great for it's pink and translucent graffiti design but it is narrow and runs a half a size small. I definitely recommend this, I have a lot of ankle problems and have yet to find a good shoe for the past few years. I ran in my Adidas Tubulars (not for running) until I bought these. 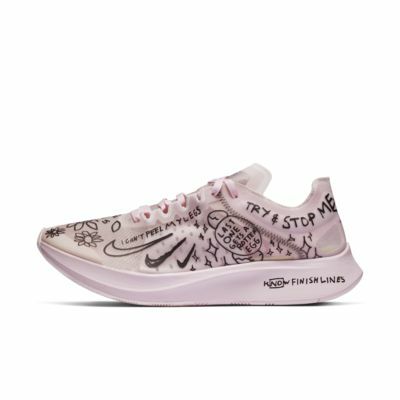 I am a forefoot strike runner, so my heel never touches the ground... these are great for me because they provide a lot of support where I strike the ground. The base is very responsive. The base of the shoe is NOT flexible meaning if your holding the heel and toe you cant arch it up... which is very helpful. Very breathable shoe and very attractive!!! Great for race day - if you get the right size. 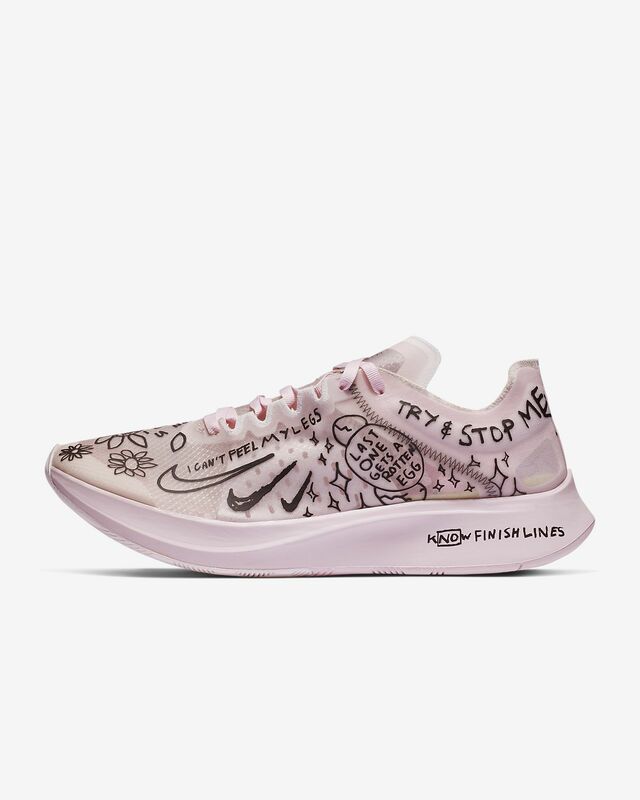 I'm almost always a UK 8.5 in Nikes - including for Streaks, Pegasus, and even the regular Nike Zoom Fly shoes, so it was a surprise to find the fit with these is much tighter. I replaced the 8.5s with size 9, and I couldn't be happier with them. I've raced in them twice so far: one distance PB and one course PB. Hopefully more PBs to come with these futuristic and very lightweight racers!